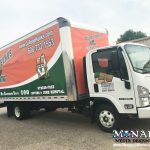 During the past 17+ years, Monarch has had the pleasure of working with clients such as Madison Metro Transit, Pepsi Cola, World Dairy Expo, Quaker Steak & Lube, Boys & Girls Club, Smart Motors, Princeton Club, Glass Nickel Pizza, Zimbrick, Anytime Fitness, and many other local restaurants, radio stations, non-profit organizations, small businesses and start-ups. The owner of Monarch is a Wisconsin woman named Courtney Dayne (formerly Courtney May), who graduated from Madison East High School in 1998. She attended University of WIsconsin-Madison, and finished her degree in Multimedia Technology at Madison Media Institute. 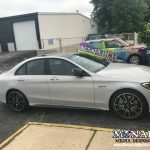 Monarch Media Designs was founded as a graphic design company, even when Courtney was still attending college because of some advice from a teacher. He said “If you want to have your own business some day, you should give it a name now”. Her dream was always to be a business owner so she followed his advice and named the company Monarch Media Designs in 2000. 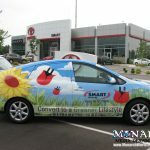 In 2001, she got a job at a local sign and graphics shop, and during her first week she was given the task of designing her first vehicle wrap. 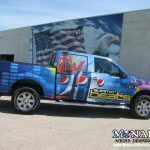 At this time, vehicle wraps were just being introduced to the sign industry, so this was an opportunity to learn a new skill from scratch–one that at that time couldn’t be taught in school, nor was there training offered as there is today. 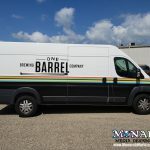 During the next few years, she acquired management status, and gained extensive knowledge in the sign a vehicle graphic business. So while learning the design process, she was also learning the entire production process—from start to finish. From 2001-2006 Courtney offered graphic design services for business marketing materials, and she worked her way up in the industry. With superior customer service and quality designs, she developed a following of clients that chose them exclusively to handle their accounts–and they kept coming back. Monarch has always been a customer-driven company. Since day one, over 90% of our business has come from personal referrals from existing clients and business associates. As the customer base increased, so did the demand for production of business marketing materials and websites. The clients wanted Monarch to handle the entire job, not just the design. Why should they have to take our work and send it elsewhere to be produced? Was there a way for Monarch to also provide all of these services and products under one roof? By 2006, the demand was so great, she knew that it was “make it or break it” time. Either continue down the current road—or—take a chance. The customers want a company they can trust to take care of the job from beginning to end—and she wants Monarch to be that company. Monarch moved into it’s first official location, located at 1585 Greenway Cross, in May of 2006. The amount of business had increased exponentially, and the customer demand was steadily increasing. Clients were pushing for Monarch to print and produce in-house. It was then that Courtney made the decision to purchase a digital printer. This enabled Monarch to more closely monitor the use of high-quality ink, vinyl, and materials for a higher level of quality assurance. 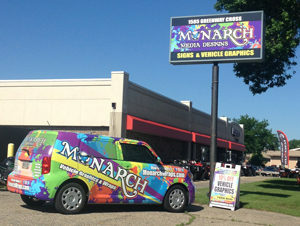 Monarch has been a 3M Certified Graphics Installation Company since 2012. We have established a solid reputation for a fun & friendly atmosphere, superior designs, innovative ideas, quality products, and a place that clients can consider home when it comes to their company image.